The Gridlux LED tee rail offers a new and exciting way to incorporate lighting into a suspended ceiling grid. It is designed in the shape of a standard cross tee bar to allow selected cross tees in the grid to be substituted. It can be fully integrated at the project design stage, alongside T&R's standard CBI Grid - a fully tested and proven system for New Zealand's unique seismic conditions. 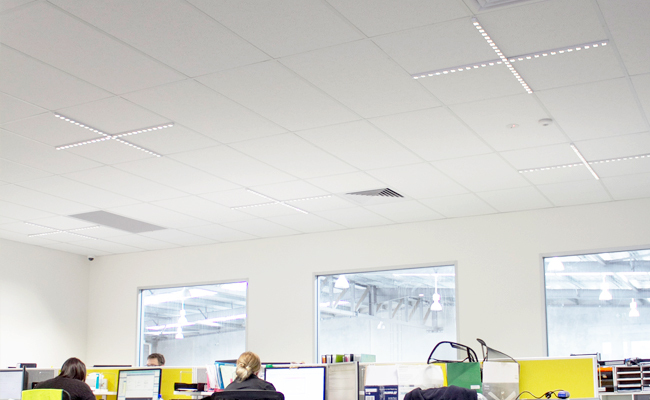 In retrofit scenarios, Gridlux can be placed into any heavyweight 38mm seismic ceiling grid. It creates a stylish and innovative lighting solution suitable for offices, schools and commercial interiors. Provides 400-600 lux on the work surface (dependant on configuration). Integrating Gridlux enables a much higher performing acoustic ceiling, by eliminating the need to replace tiles to provide space for traditional lighting solutions. This provides a much higher area of potential absorption across the ceiling surface. 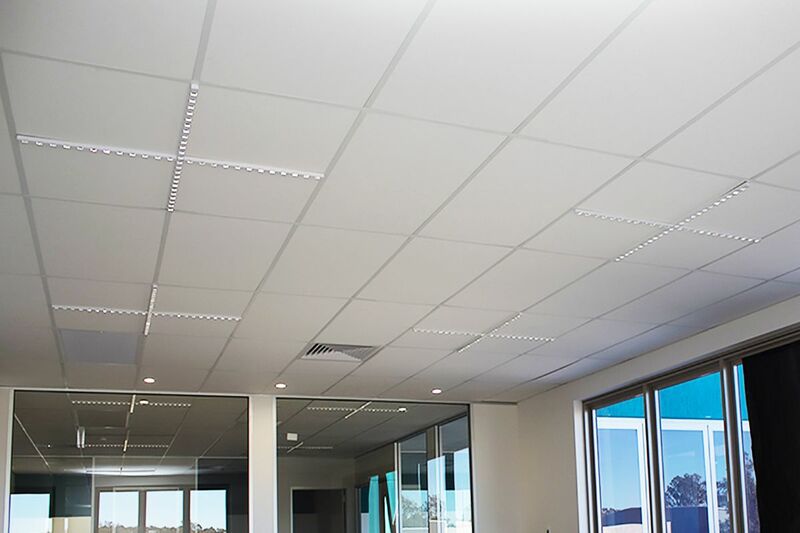 Gridlux tee rails have been engineered to take seismic load, (complies with BC NZS 1170.5) and is therefore ideal to be integrated as part of a seismically designed suspended ceiling. 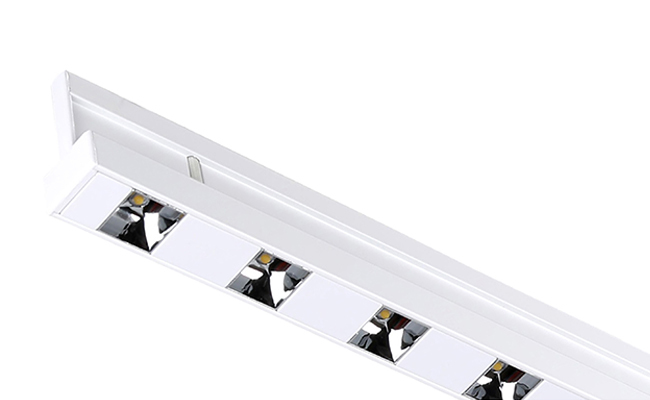 Long-life energy-saving LED technology (L90,B50 90,000hrs). Complete system installed with flex and plug; can be used with Building Management System. Anodised and powder-coated aluminium extrusion, steel mounting clips.